For people of a certain age, the entire genre of children’s music is synonymous with the name Raffi. The Egyptian-born Canadian singer-songwriter brought joy into the lives of young people with his simple, undeniably catchy songs about bananaphones, baby belugas, and all manner of things that can be found down by the bay. Regardless of what was going on in the world back then, Raffi remained pure and good. According to a new article from Mel Magazine, that fact hasn’t changed. While we may have long ago outgrown his lullabies, Raffi has continued to be a positive force in this world, and now spends his time combating fascists on our behalf. Though the singer lives in Canada, he’s regularly shared his thoughts on American politics over the years, and is outspoken about his opposition to the alt-right and the Trump administration. While some American artists with adult audiences would rather tiptoe around political landmines, Raffi is adamant about the fact that we need to call these people what they are—fascists and bigots. But he doesn’t limit himself to armchair slacktivism. 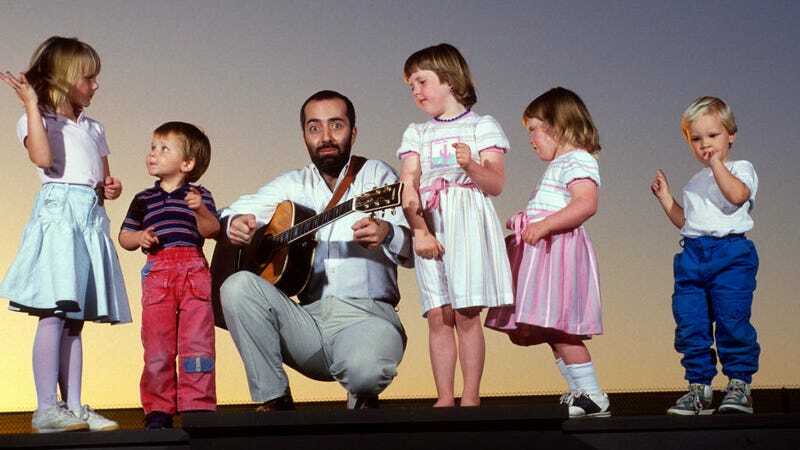 Since the early ‘90s, Raffi has been vocal about the global climate crisis, even telling The Washington Post that the problems of pollution and overpopulation convinced him not to “bring children [of his own] into the world.” His 2007 song “Cool It,” which he wrote after working with the David Suzuki Foundation, helps teach children about global warming and the dangers of greenhouse gases. Perhaps most importantly, Raffi has routinely turned down offers to license his music for advertisements and movies saying he is “a long standing advocate for a child’s right to live free of commercial exploitation.” In the end, that’s really who Raffi is. He’s a guy who is willing to turn down big paychecks and withstand criticism for his political viewpoints all because he cares about us. We really don’t deserve him.